The Hells Angels celebrated their 39th birthday in Canada on December 17th at a Sainte-Anne-de-Sorel hotel. Police noticed that some of the bikers displayed the name of the city on the front of their jacket. This means that the Quebec section is officially reopened after being inactive for almost eight years since Operation SharQc on April 15, 2009. 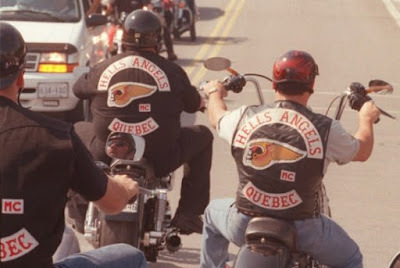 Four of the five Hells Angels chapters are active; These are the Montréal, South, Trois-Rivières and Québec sections. Only Sherbrooke is still inactive. The Montreal Chapter, the first in Canada to be created on December 5, 1977, continued to operate despite Operation SharQc, thanks to the infusion of certain members of the Rock Machine into Hells Angels ranks. The recently disbanded Ontario Nomads was formed 15 years ago with former Rock Machine members. Investigators also saw members of the newest chapter in New Brunswick. They have been sponsored and even formed partly by bikers from Quebec. At least one former member of the South chapter and another member of the Québec chapter now display the colors of New Brunswick. Recently, the Sûreté du Québec considered the Hells Angels to be the largest criminal organization in Quebec, controlling more than 80% of the territory for drug trafficking.